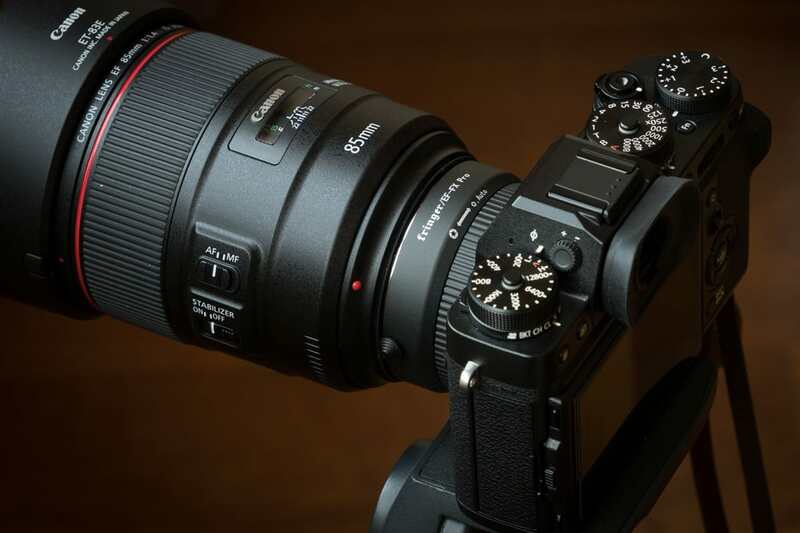 Fringer Dev had an update this morning and the new Fringer EF-FX Pro adapter will have an electronic aperture ring like XF lenses. The adapter market is getting crowded and this is a great way fro Fringer to stand out. “It’s an electronic aperture ring with contactless internal design so you don’t need to worry about the contact wearing issues. When you turn that aperture ring, in case of a 85/1.4 lens it will set aperture to F1.4, F1.6, F1.8, F2.0…, F22 and ‘Auto’. Every click equals to 1/3 stop. When it’s set to ‘Auto’, aperture will be decided by the camera. Watch the following video for more details. 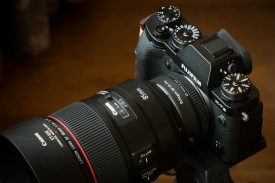 I heard some other smart adapter manufacturers use a button on the adapter to control the aperture. I don’t think that is an effective method. Thinking about changing the aperture value from F1.4 to F16. You need to press that button dozens of times! This entry was posted in 3rd Party Lens and tagged Fringer, Fringer EF-FX Pro, Fringer EF-FX Smart Adapter, Fuji Rumors, Fujifilm, Fujifilm Rumors, FujifilmRumors, Fujirumors. Bookmark the permalink. Trackbacks are closed, but you can post a comment.